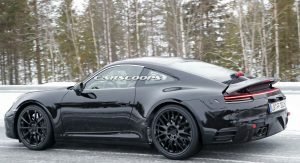 Spy photographers have caught the 2019 Porsche 911 on numerous occasions and new details are starting to emerge about the upcoming model. 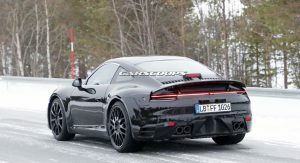 Automobile reports the car will use an upgraded six-cylinder engine which is codenamed the EA9A2. 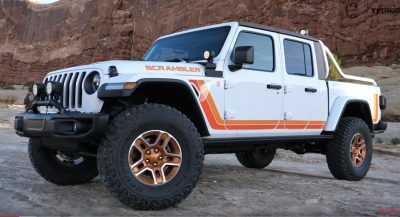 The engine family will reportedly benefit from improved combustion techniques as well as new technologies. The model is also expected to adopt a 48V mild hybrid system which increases the output by 20 hp (14 kW) and 52 lb-ft (70 Nm) of torque. 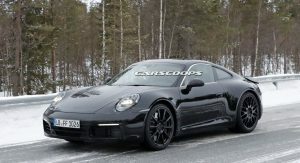 While specifications remain unconfirmed, the publication says the next Carrera will be rated at 400 hp (298 kW) while the Carrera S climbs to 450 hp (335 kW). 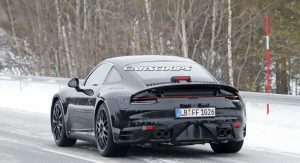 Later on, the company will introduce a new GT3 with a twin-turbo 3.8-liter flat-six engine that is rumored to develop 550 hp (410 kW). 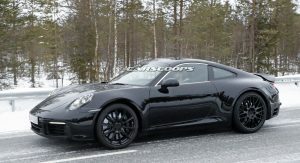 It will eventually be joined by two new 911 Turbos and the Turbo S is slated to produce 620 hp (462 kW). 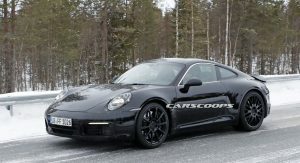 Rumors about a 911 plug-in hybrid have been swirling for awhile and Porsche CEO Oliver Blume told the publication the car will be launched as “soon as there is a market for it, which analysts say will be around 2023.” It will reportedly use a 3.0-liter flat-six engine, a 10.8 kWh battery, and an electric motor that produces 94 hp (70 kW) and 229 lb-ft (310 Nm) of torque. 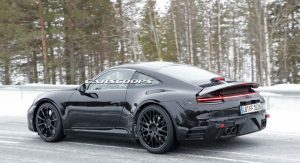 This setup will reportedly give the model a combined output of 485 hp (361 kW) and 561 lb-ft (759 Nm) of torque. 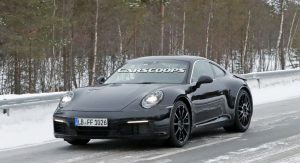 While it won’t be the fastest or most powerful 911, the car will reportedly accelerate from 0-60 mph in 3.5 seconds, hit a top speed of 197 mph (317 km/h), and have an electric-only range in excess of 40 miles (64 km/h). 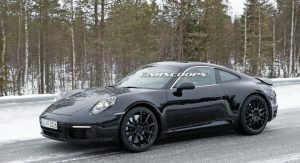 If they make a new GT2 RS will it have a power increase as well or is 700hp more than enough? if it’s faster lap times I think electricity with instant torque and 4wd is the way to go. patrol cars will be toys of joy like manual gearbox after a while and become as an extra model for who’s interested. If the mild “hybrid” doesn’t have a heavy battery pack then OK but big no to a PHEV. 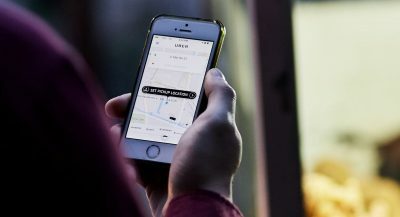 It’s honestly a genius method of adding power and efficiency, doesn’t turn of the more traditional buyer and allows the company to take a baby step towards the inevitable electric future. Whats a Mild-Hybrid? its either Hybrid or no. But I’m fine with it. Mild-Hybrids don’t have electric only mode (https://en.wikipedia.org/wiki/Mild_hybrid). Of course there hybrids without an electric only mode that came before the term but it’s generally for cars that are ICE first and electric second. She is going to be a Beauty! 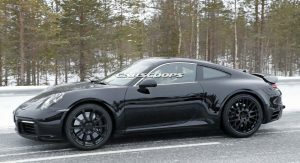 Please Porsche no silly black wheels for production and some better paint colors too. All I read was that they’re planning to ruin the GT3. Turbo engine? 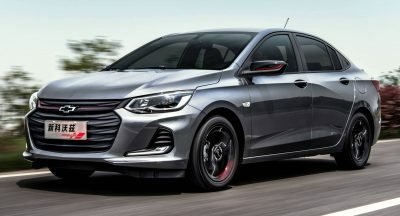 No more 9k rpm redline? Then, no more real GT3 experience. 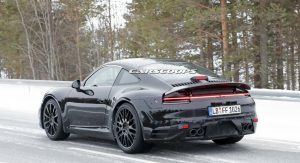 Next PostNext Can A 800 HP Ferrari F12 Beat The McLaren 720S In A Straight Line?